By Jorina van Rensburg, MD of Condyn. With more than 75 billion devices expected to be connected to the Internet by 2025, the Internet of Things (IoT) has become an integral part of the digital world. As we become more reliant on these devices for our work and personal lives, we need to be aware of their inherent security risks. Jorina van Rensburg, MD of Condyn. One of the biggest problems is the login and password details of connected devices. These are typically preconfigured by manufacturers. How many end-users change these default settings? Using sophisticated tools, hackers can ‘snoop’ the Internet for these standard details and can easily gain access to them, severely compromising the user. Another challenge is how easy it has become for manufacturers to send through updates to connected devices. Because this communication is unencrypted, patches can be installed remotely for bug fixes. While ostensibly a good thing, they do leave back doors open for malicious users to exploit. Of course, it is not always about accessing data but also spying on people. For example, the increasing number of smart televisions in homes have seen some manufacturers pull data that shows what consumers are watching. Even worse, those sets with embedded Web cameras can also be hacked and used to look into the homes of people without them even realising it. Alexei Parfentiev, senior business analyst at SearchInform, believes a distinction should be made between IoT and the Industrial IoT (IIoT). “The former is person-oriented and makes people’s life comfortable. The latter is developed for an industry and must be optimised.” Smart appliances, for example, help people save electricity or take care of their health. Within some industries, devices are used to automate menial administrator tasks, increase enterprise productivity, and let employees focus on more strategic roles. So, while it becomes inconvenient if a smart home system fails and the doors do not open automatically, imagine the impact if an armament system or power station is compromised. 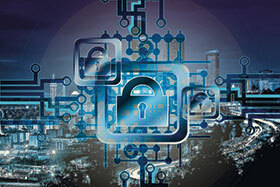 Security therefore has to be a priority in this new era of connected devices and the IoT.